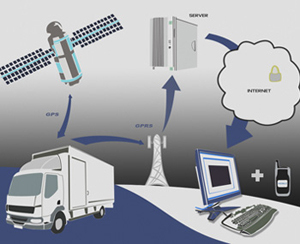 Is a vehicle tracking unit really going to make your life easier and is it worth the cost? I guess this is a bit like they once said, ‘is a mobile phone really worth it, a PC, or television? Like any invention it’s bound to be met with suspicion, caution or a groan. Yet once the huge gains in buying a particular device are experienced it’s almost impossible to do without. So how can a GPS tracking unit help you? Well, if you run a fleet of vehicles or regularly travel and especially to remote areas, it might just save you thousands of pounds or perhaps your life. Today, with advanced technology, tracking units are inexpensive and easy to use. A device that can help you monitor, protect and use your vehicles more efficiently sounds ideal for fleet managers. 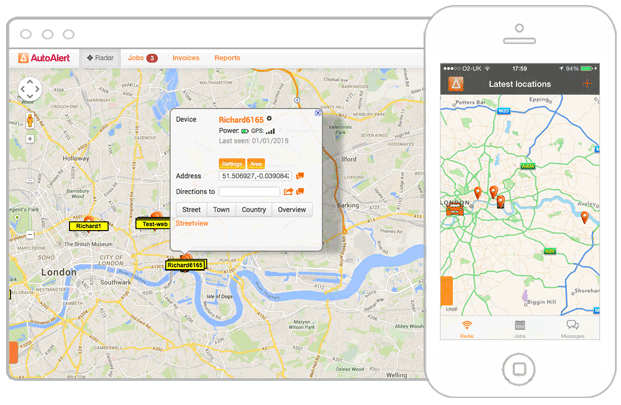 Running a fleet usually means constant checking on drivers, deliveries, customers, suppliers, invoicing. Phone calls become irritating, asking where a driver is, why they’re not at the next job, what time they’re going to get there, reassuring a customer, explaining to a supplier. With a GPS unit, you can see current driver location, local traffic conditions, send and receive alerts and keep real time checks on relevant data. Customers want information and they want it fast. Being able to communicate easily and efficiently not only shows professionalism, it eases tension and makes the job so much easier. Not only that, if the customer is already confident in your abilities before your driver has even arrived at the job, so much the better. If one of your drivers is in difficulty, you can be alerted and take immediate action. In fog, snow and ice or with accidents and delays, it’s good to know there’s someone at your side. It’s a comfortable feeling too, that thieves are likely to think twice if they know a vehicle is being monitored before attempting to break in. A tracking unit can lead to improved performance, more efficient operations and is likely to significantly reduce costs. Channeling funds into investment in order to grow your business rather than risk cutbacks is far more worthwhile. With up to the minute working time reports, instant invoicing, you will have far less reliance on job or overtime sheets and general paperwork. Being less office bound means being out and about on the field, not stuck behind a heap of routine admin. Fuel consumption is a major expense for many businesses and especially for fleet owners. Improved scheduling and use of vehicles helps reduce mileage, fuel can be used more efficiently, idling and braking times cut, reducing harmful exhaust emissions. So, I would say a vehicle tracking unit is a techie invention certainly worth considering. For smaller fleets, handy no installation required portable units are available and you can even use a mobile or iPhone. Be great to hear your tracking unit news and views, I’m Richard, ready to exchange ideas, give a few tips and hear your problems.